Since Body Slam is one of my favorites so I decided to go back and re-up this card and get a mini-set out of it. I would love to make it more than four cards -it deserves it- but there's very few quality images available for this 1987 gem. Body Slam is one of those movies, while not very popular, is one of my personal favorites. I remember it coming on quite often on HBO in the early '90s, and I must have caught it most every time. 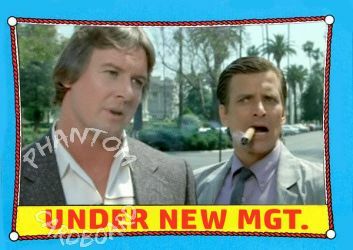 If you've never seen it, Dirk Benedict plays M. Harry Smilac, a smarmy scheming music producer that is scraping the bottom of the barrel. He inadvertently stumbles into managing the wrestling tag team of Quick Rick Roberts (Roddy Piper) and Tonga Tom (Sam Fatu). He barnstorms the duo in a cross-country tour double billing them with his last remaining musical act, Kick, as rock and wrestling two-for-one, the whole time running from creditors and wrestling adversaries. It's a fun watch, no doubt. Plus, Tonya Roberts is very easy on the eyes. 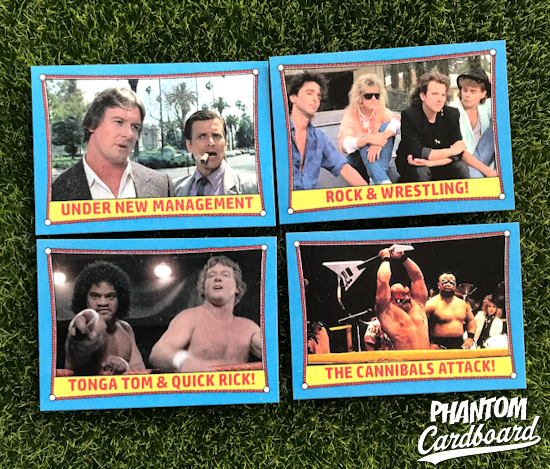 I modeled this after the 1987 Topps WWF set, which I collected the crap out of as a kid. I loved wrestling back then. Now, nottt so much. M. Harry Smilac, at your service! 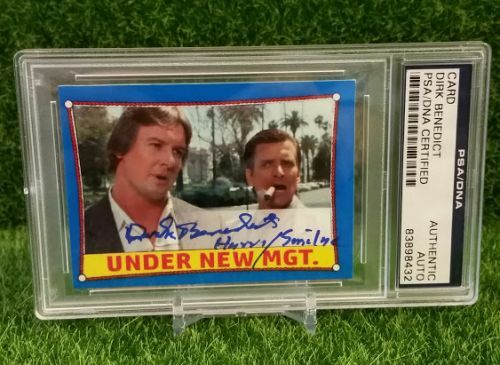 I got this card signed by Mr. Benedict, along with a 1978 Topps Battlestar Galactica card, and a 1983 Topps A-Team card. I love that he inscribed it with the character name. Hal Needham, who had previously directed the successful Smokey and the Bandit films, had arguments with the pair that produced and wrote the film regarding his changes to the script, resulting in lawsuits that delayed the film's release. As a result, the film was never theatrically released and was instead released direct-to-video. It was Needham's final film. Dirk Benedict as M. Harry Smilac. He was Needham's first choice for the role based on Benedict's work on the television show The A-Team. Although Benedict had previously worked with professional wrestler Hulk Hogan on an episode of The A-Team, Benedict only found out about the scripted nature of professional wrestling through his work on this film. 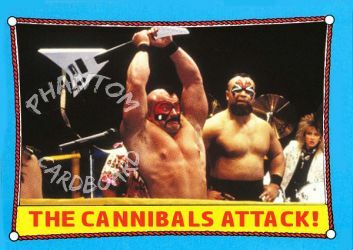 As a bonus here's another I did of The Cannibals tag team.